When we were booking our tickets to visit the Maldives we started by seeing what other countries were nearby that we could add on a few days to see. The theory being, if we’re going that far we may as well make the most of it. After checking out connections and wavering between India and Sri Lanka we decided on Sri Lanka. Our first few days we were in the very south of the region and then we spent two more days in the capital Colombo. To be fair, we didn’t love Sri Lanka and I’m not sure we’d go back again (though who knows I’d love to have my mind changed!) but while we were in Colombo we did take a food tour. 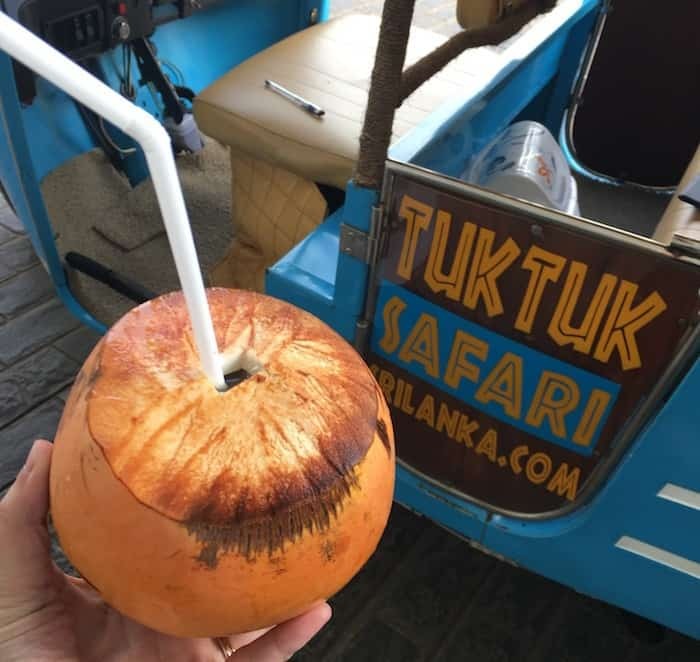 Tuk Tuk Safari offers food tours and city tours of Colombo done on, you guessed it, tuk tuk. These little machines are everywhere, inexpensive and fun. 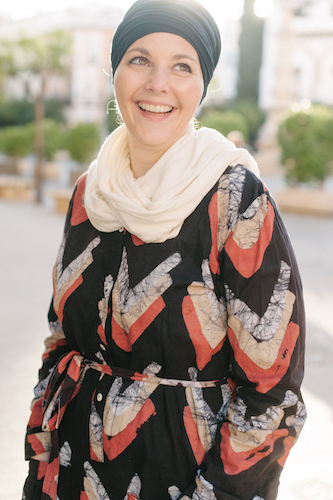 This tour was private and we were picked up at our hotel, and set off on our food adventure. I’ll be honest we found Colombo tough to navigate alone. It was really busy and our hotel was quite far from the city center so we really were optimistic that we’d find something delicious and authentic here. The downside first. Our first three stops were all drinks; coffee, tea, and mango smoothies. I loved the mango drink but by the time we got these I was STARVING! We had been eating lightly in preparation for the tour and it was after 7pm before we got to the first food stop. I would have loved if this would have been mixed up or we would have had coffee OR tea but not both. The upside – when we did start eating it was great! 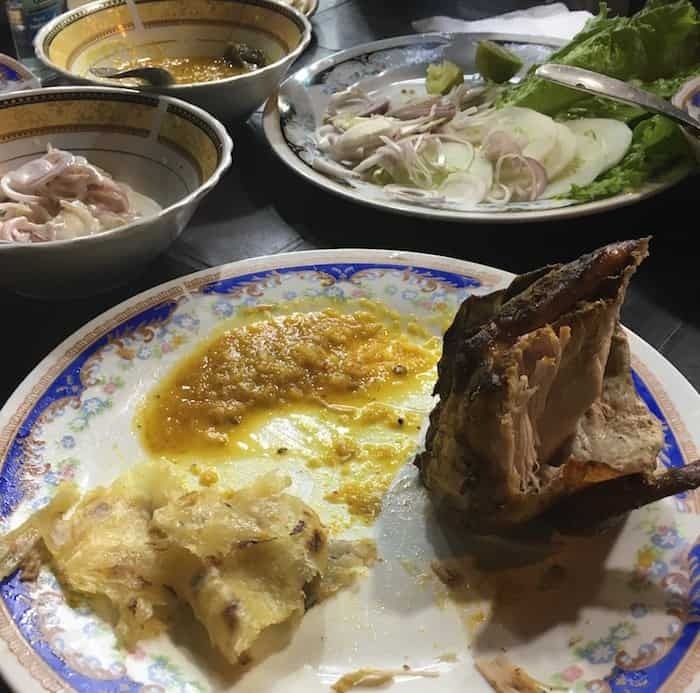 I had two favorite dishes; hoppers of all varieties, and ghee roti with chicken. 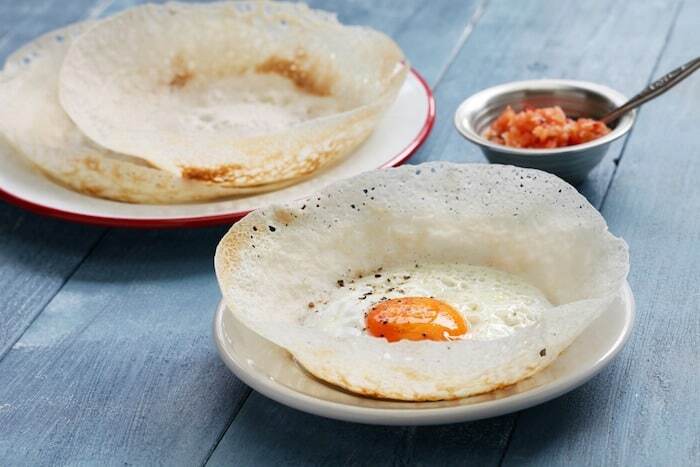 Sri Lanka has a big mix of cultures and it’s very evident in their food. There’s a little bit of everything which makes for some very interesting combinations! I’ll let the food speak for itself here and you be the judge! One of the things we really liked about this tour was that we could eat everything. One problem we faced in our visit was that all the food we were served was VERY spicy. We’re used to spicy food but found there was just too much heat in dishes to make it enjoyable – especially in the breakfast curries, something we just weren’t equipped for! 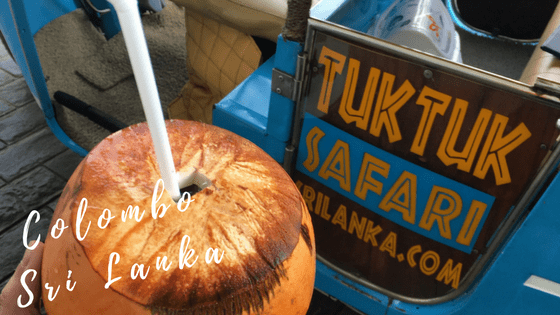 We had a really fun time doing this food tour and liked being able to have one good experience in Colombo. We were just sad we didn’t have enough time to go back to the roti shop for dinner the next night! The Tuk Tuk Food Tour Safari is $50US per person and includes all costs for the evening. We felt the price was well worth it.